AustinUP is hosting a FREE generations mixer at the new and innovative b8ta store in the Domain NORTHSIDE. Come learn about AustinUP and explore new technology! 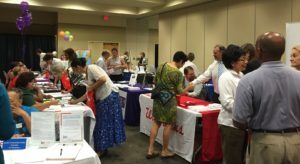 AustinUP is hosting a series of free job fairs in 2017 to match available job opportunities with workers who are 55 and older. Our next event is November 9 at Atria at the Arboretum! St. James Episcopal Church, 1941 Webberville Rd. 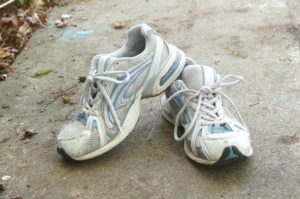 LBJ School of Public Affairs, Bass Lecture Hall, 2300 Red River St.
AustinUP is partnering with the YMCA of Austin to host a focus group for those aged 50+ to gather feedback about your fitness perspectives, as well as your exercise and recreation preferences. It will be held at 2:30 p.m. on Wednesday, July 11, at Wildflower Terrace, 3801 Berkman Drive. Today, the Austin area has the nation’s fastest-growing population of people between 55 and 64, and the second fastest-growing population of people 65 and over. And many of these newcomers are looking for work. The Austin area has the nation’s fastest-growing population of people between 55 and 64, and the second fastest-growing population of people 65 and over. And many of these newcomers are looking for work. Following up on last year's success, our 2018 Aging & Innovation Summit will include more interactive programming. 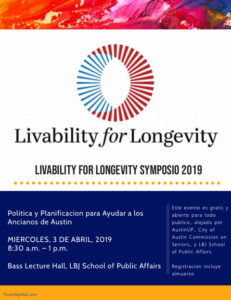 Our goal is to provide a creative space so that people with different talents and perspectives on aging can come together to help put Austin on the map in the emerging field of aging/longevity innovation. Our speakers will represent community need, research, business opportunity and investment – and we'll focus on aspects of healthy aging that are vital to successful Aging in Place and Aging in Community.